Last year hundreds of you told us you hated Congress, thought the President was a failure and expected to make more cash than ever despite the denizens of Washington DC. Feeling more confident or less confident in the President’s Economic team as we see a Republican House and Senate taking control of the Capitol? Have thoughts on your boss and competitors? Do you expect to make even more personal compensation next year than this year? Annually we ask our readers to weigh in and share their level of confidence in themselves, the economy and their businesses. Last year we heard significant levels of confidence – did it prove to be so? Especially as the stock market rose in a continuing bull market and reported PE/VC values (and deal costs) rose as well. Semaphore is conducting its seventh annual survey of Private Equity and Venture Capital partners, principals and professionals supporting the industry. 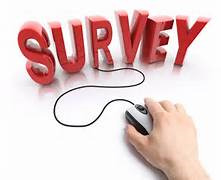 The purpose of this survey is to gather anonymous input from our industry friends and clients with the results fully reported to all. It will stay live until mid-January. Semaphore (www.sema4usa.com), is a leading global professional services provider of Private Equity and Venture Capital funds under management. Semaphore currently holds fiduciary obligations as General Partner for seven PE and VC funds, is a New Markets Tax Credit provider and advises General and Limited Partners around the world. Semaphore's corporate offices are in Boston with principal offices in New York, London and Dallas.